I’ve been derailed for the past few days by the dreaded puking bug. Today I’m feeling better though I still have not gone beyond toast and Sprite and cold cereal in the food department. And sadly, now Julianna is sick. Bah, humbug. Hoping everyone else will continue to feel healthy. I wanted to tell you about the beginnings of our back yard project, at least the part that I began last week before illness struck. Our back yard at our new house is incredibly small. It’s 30 feet from the back door to the back fence, and that includes about 10 feet of concrete patio. Our living room is deeper than our back yard. One of the reasons we moved was to have less yard work and upkeep, so that’s good. But this box of grass edged with fence and concrete is pretty boring. I am eager to transform it into something that would be a fun place for entertaining, despite its small size. So I’ve been doing a bit of scheming. Here are some of the ideas I have so far, drawn up with a cool program that I looooove called Chief Architect. The grey in the drawing is the already existing concrete. The patio cover doesn’t exist yet, and we may actually do a pergola instead of a fully covered patio—still thinking through that. In the left lower corner of the drawing I’m planning a lawn swing under some kind of a trellis draped with creeping vines. 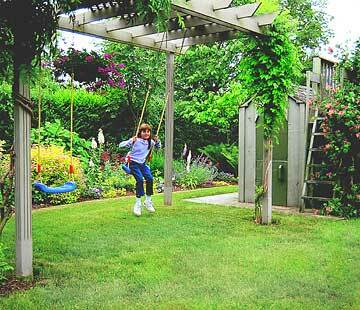 Or possibly we’d even set up the trellis as a swing set, like the photo below, with a swing or two for bigger kids alongside one for little ones. We won’t have space for something that big, but you get the idea. Against the house to the left of the patio is a narrow flowerbed where we will try a tomato plant or two. John isn’t sure how tomatoes will do there though, with only east and south sun. The bed is shaded in the afternoon. 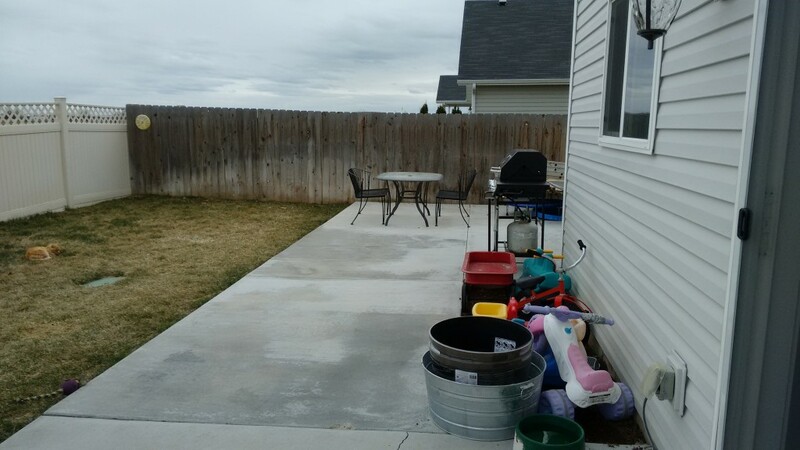 Here’s a view of the yard in that direction, which shows the space where I was imagining a trellis swing, as well as the little flowerbed against the house, which you can’t actually see because of the grandkids’ bikes. The bikes are strategically placed to block the cats from going to the bathroom there, and will be moved at tomato-planting time. Side note: all four of our cats successfully made the move from the farm to the subdivision- a major miracle since two of them are rather wild barn cats who don’t like each other a bit, and we weren’t at all sure that they’d stay put. They did, but boy, do they look bored these days! The above picture also gives you and idea of how small the yard is. 🙂 But there’s lots of concrete to set tables on, so that’s good. We can feed a crowd! 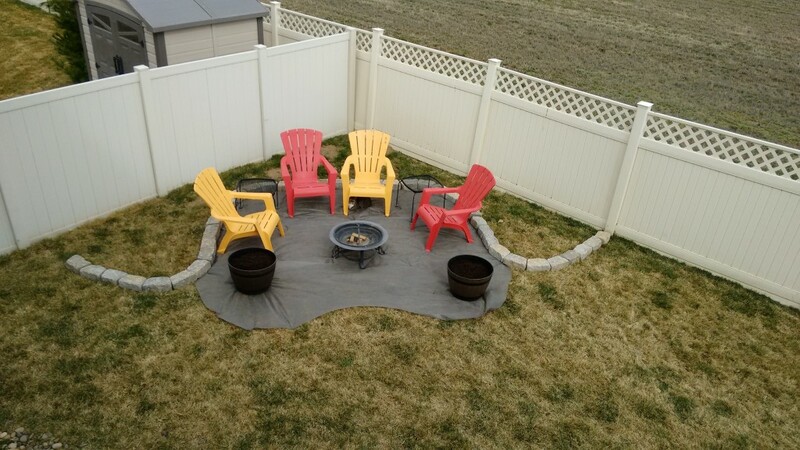 On the right side of my yard plan is a seating area around a fire pit, with a narrow space between the seating area and the fence where I would like to have some plantings. This is not yet in existence, but it will be our first yard project. I am picturing a dwarf butterfly bush and maybe a couple small evergreens in that space, along with a few tomato plants and peppers. The other day Julianna and I went to Lowe’s and found some nice rough-top landscape blocks. My son in law who does landscaping suggest that this type of landscape block is easier to set as flowerbed edging than blocks of a more uniform shape, since they are more forgiving of slightly uneven placement. 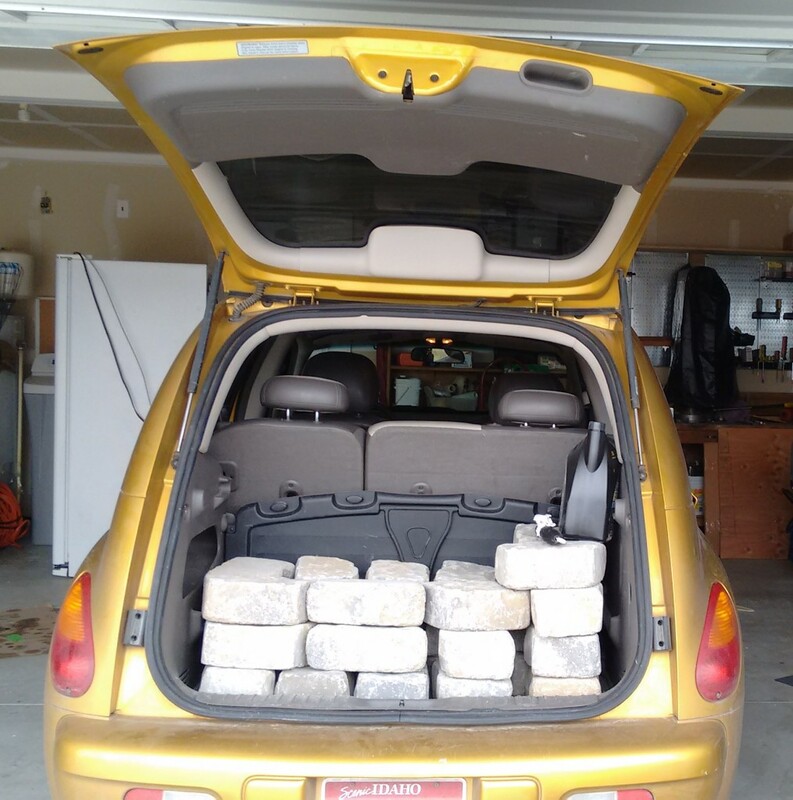 I wasn’t sure how many we’d need, but I started with 40, which fit in the back of my little car quite nicely. 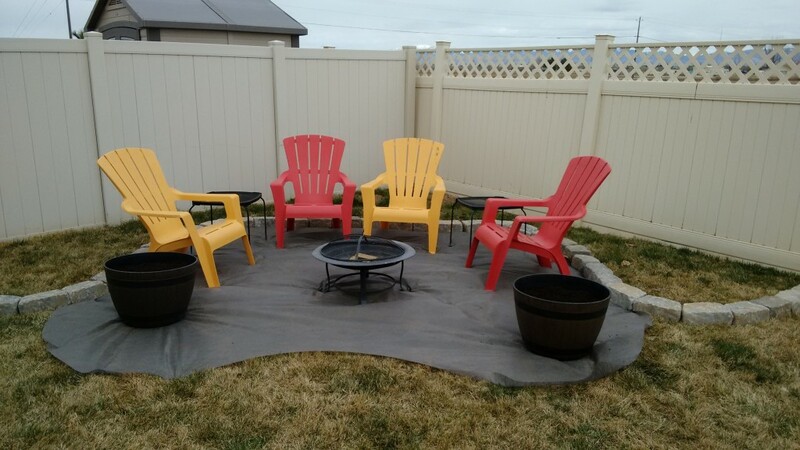 The next day I spread landscape fabric across the living room floor and figured out about how big an area we’d need to fit several chairs and benches, as well as a fire pit space. Then it was time to stake down the landscape fabric in that corner of the yard and edge it with blocks to try out the design. Here’s how it looked from the patio after I got done playing with the design. And here’s the view from an upstairs window. Looking at it from above, I can tell that I’d like the space to be just a little broader and more rounded. So I am going to get more blocks (yup, I used all 40) and pull the space just a bit more out from the corner. While I am rearranging the space, I’ll weed-kill the lawn area that will be covered by the landscape fabric, and add another layer of landscape fabric for more weed protecting. Then it’ll be time to bring in some flat blocks for the front edge of the space, and add gravel in the center. Still lots to do, but I am excited to see the beginnings of the space laid out. And oddly enough, having something laid out in that corner of the yard makes it look bigger than it did with just grass in the corner, something I didn’t actually expect. I like it very much, can’t wait to see the finished product! I have grown regular cucumbers over the mulch surrounding my rose bushes…there was so much sun and I couldn’t stand not using that sunny spot to get some cukes! I just dug through the mulch a bit to plant my seedlings/seeds and then when they were bigger, I pushed the mulch back close to the plant. When it got bigger, I trained the vines around the rose bushes. Love your plan! You could use some pretty planters on the patio to grow some veggies too – tomatoes, herbs, peppers, and even cukes, beans, and peas (on a pot trellis). They’d look pretty and break up some of that concrete. 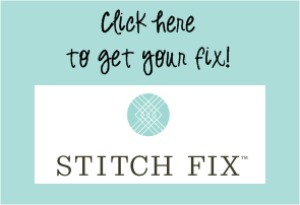 I love your idea of using landscape fabric to lay out your ideas! I cant’ wait to see the final product – it will be fantastic!